Provide comfort for the family of Sara Don Wright with a meaningful gesture of sympathy. Sara Don Cocke Wright, 87, of Waco, passed away on January 17, 2019, with family and friends by her side. Visitation will be held on Tuesday, January 22, from 5:00-7:00 p.m. at Oakcrest Funeral Home, 4520 Bosque Boulevard. Reverend Dr. Leslie King will officiate her funeral on Wednesday, January 23 at 11:00 a.m. at First Presbyterian Church of Waco. Burial will follow at Oakwood Cemetery. The only child of John Walter Cocke, III, and Maggie Eugenia Forrest Cocke, Sara Don was a lifelong Waco resident. 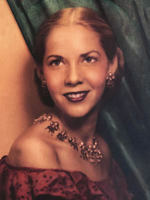 She attended Sanger Avenue Elementary School and Waco High School, graduating with her high school diploma in 1948. She pursued post-secondary education at Hollins College in Virginia and the University of Texas in Austin with emphases in mathematics and physics. Her fascination with physics ignited a passion for aviation leading to the attainment of her pilot’s license and, ultimately, the thrill of purchasing her own plane. Her intellectual interests, however, extended beyond analytical fields. Sara Don was an accomplished visual artist who worked primarily in the medium of painting. Her paintings, including commissions by the Catholic Church and various corporations, were exhibited and sold throughout the United States. Art served as a source for her creative expression and livelihood: she supported herself and her family for decades through art sales. An entrepreneur at heart, Sara Don owned and operated multiple businesses, including an insurance company, meat-processing plant, and antiques store. She was also an avid collector; antique dolls were her most cherished collection. She was an active member of several local societies and clubs. These include the Central Texas Doll Club and the Waco Herb Society. Her interest in herbs inspired the co-authorship of a dictionary of Mexican and Nahuatl herbs with her dear friend Eugenia Provence. Sara Don and her husband, H. Wallace Wright, an artist and entrepreneur from Levelland, Texas, embraced Port Aransas, Texas as a second community. They purchased and renovated two historic properties: the original St. Joseph’s Catholic Church—Port Aransas’ oldest standing structure, completed in 1910—and the old City Hall. They and their family enjoyed summers and celebrated holidays on the island. Sara Don, like her family before her, was deeply invested in the Waco community. She was the great-granddaughter of Dr. John Walter Cocke, a Waco physician who served local residents, including the Huaco Tribe of Native Americans. Her paternal grandfather was the Honorable John Walter Cocke, Jr., bankruptcy judge for the Eastern District of Texas. Her father, John Walter Cocke III, an architect, designed churches and restaurants throughout Texas and served as the architect for the Austin Diocese of the Catholic Church. In addition to her parents, Sara Don was preceded in death by her beloved husband, Wallace, whom she married on April 2, 1969 at Service Memorial Methodist Church in Waco, Texas; her sons Carl Alexander Trautschold, III, and James Andrew Flora; and her daughter, Sara Don Landsfeld. Sara Don is survived by her sons, Walter Cocke Trautschold and Henry William Wright, II; her daughter-in-law, Lenore Wright; her son-in-law, Mike Landsfeld; her grandchildren, Sara Abigail Jones, Henry Wallace Wright, II, and Carl Haze Wright; and her great-grandson Max Jones. Pallbearers will be Allen Staggers Jr., Fort Staggers, Drew Haluska, Elton Woolsey, Eric Forman and Mike Landsfeld. The family would like to extend a special thanks to Maria Galan for her many years of devoted care for Sara Don, and Providence Hospice for the excellent care they provided during the final weeks of her life. 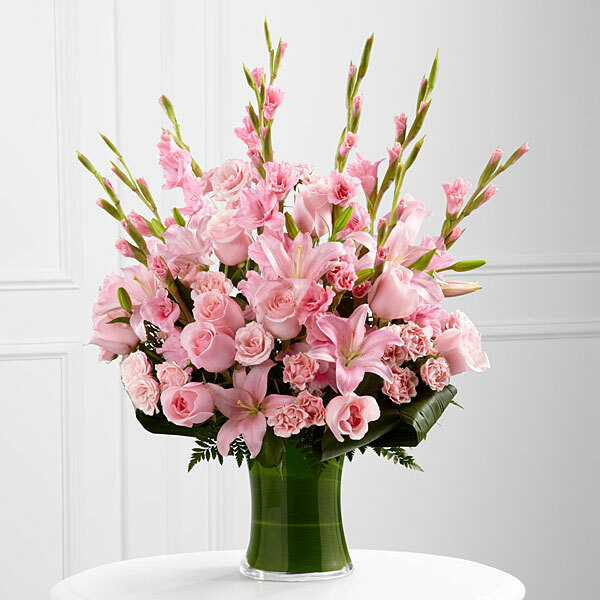 To send flowers in memory of Sara Don Wright (Cocke), please visit our Heartfelt Sympathies Store. We encourage you to share your most beloved memories of Sara Don here, so that the family and other loved ones can always see it. You can upload cherished photographs, or share your favorite stories, and can even comment on those shared by others. Heidi Bostic & Stephen Pluhacek and The Richmanns have sent flowers to the family of Sara Don Wright (Cocke). Heidi Bostic & Stephen Pluhacek purchased flowers for the family of Sara Don Wright. The Richmanns purchased flowers for the family of Sara Don Wright. My condolences to the Wright family during this difficult time. In the Bible, Jehovah God gives us hope. Acts 24:15 says, "there is going to be a resurrection of both the righteous and the unrighteous." Revelation 21:4 says, "and he will wipe out every tear from their eyes and death will be no more." Very soon we will see the fulfillment of these promises here on Earth.